Perfect for hanging from tent eaves. Accordion cord permits spacing up to 7 feet apart. 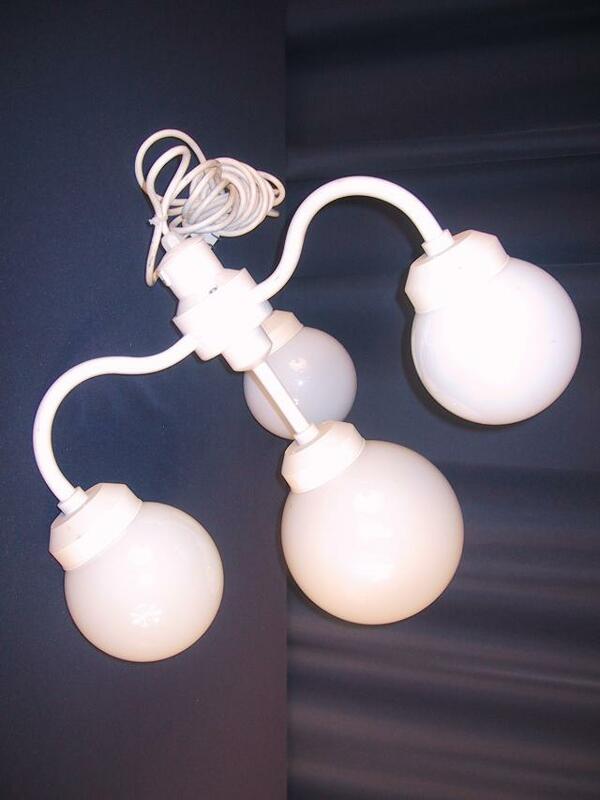 Portofino style light has 4-40W bulbs. 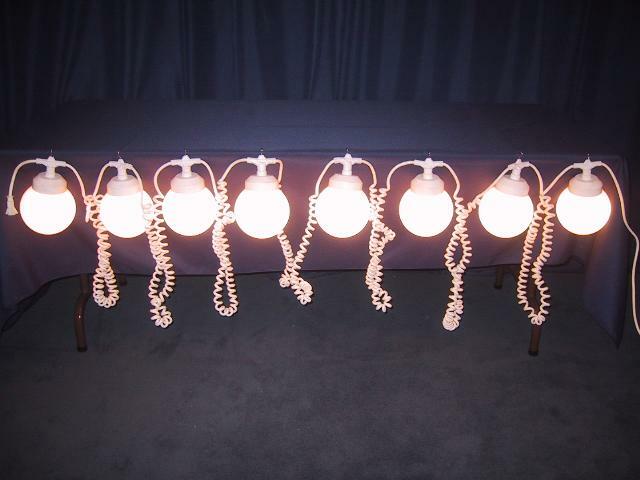 Perfect for lighting inside tents. Use one for every 400 square feet of tent. Installation labor charged separately. 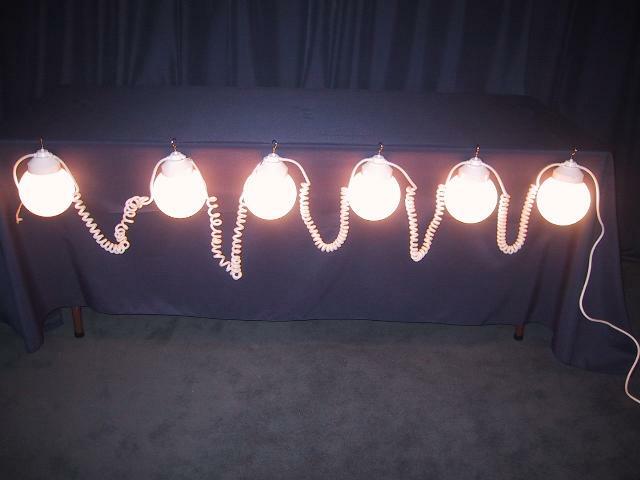 Provides accent lighting for tent or flood lighting for stages. Lights can be equipped with colored gels in colors red, green, blue and pink.Trusses available to connect two of these units together. 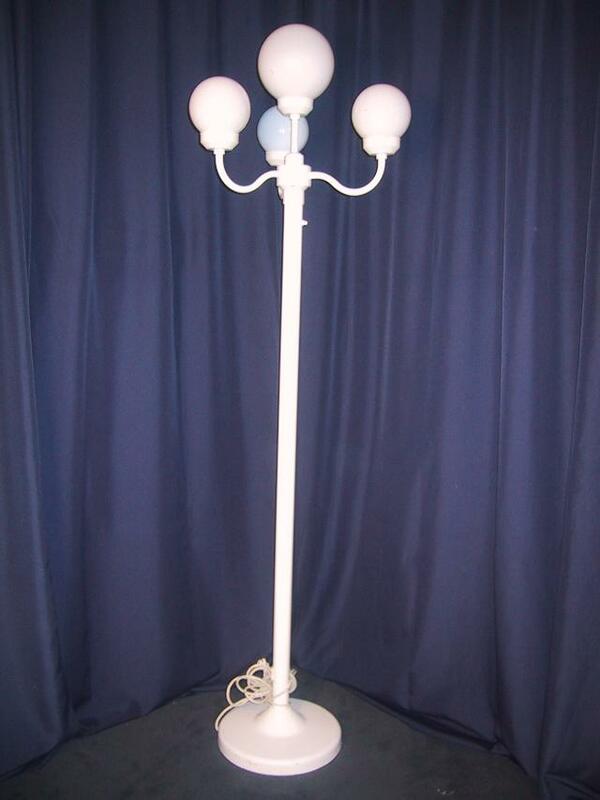 Two 500W Contractor lights on stands can be raised with hand crank to eight feet. Power by generator or from permanent power. 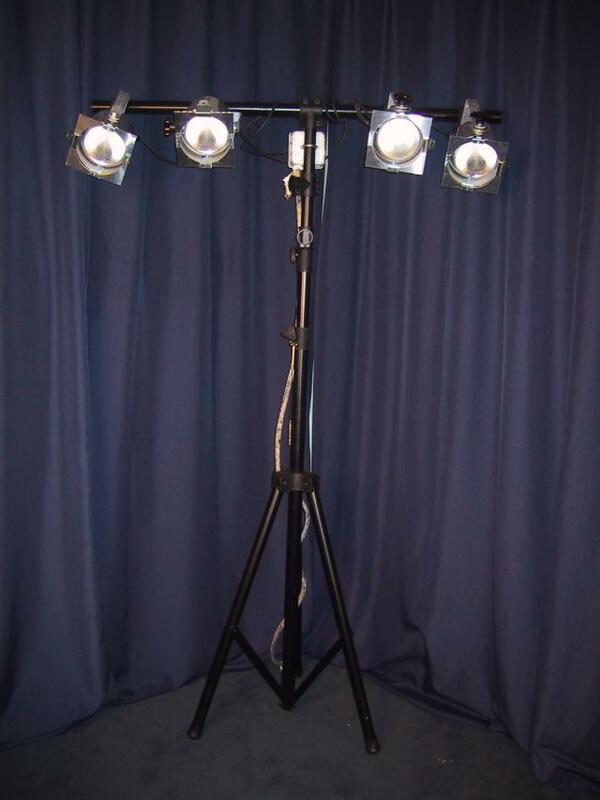 Great for parking and other general purpose lighting…an alternative to expensive light towers.